The New York Daily News was widely condemned for its front page about the on-air murders in Roanoke, Virginia, with critics calling its use of the graphic images "despicable" and "heartless." The tabloid had a different description: newsworthy. "The images that The News used yesterday were in wide circulation across the Internet throughout the day and remain in wide circulation," the paper wrote in a note to readers on Friday. "They are, we believe, part of the story -- a definitive part of the story, however disturbing." The paper said the startling photos were also meant to send a message. "We feel passionate about strengthening gun control, imploring politicians to improve mental health services, and highlighting the extraordinary scale of daily gun violence," the newspaper said. "That's why we published the images," the Daily News said. There was plenty of anger after the Daily News unveiled its cover, which featured three still frames from the video recorded by Vester Flanagan as he executed a young television reporter and cameraman during a live news broadcast on Wednesday. 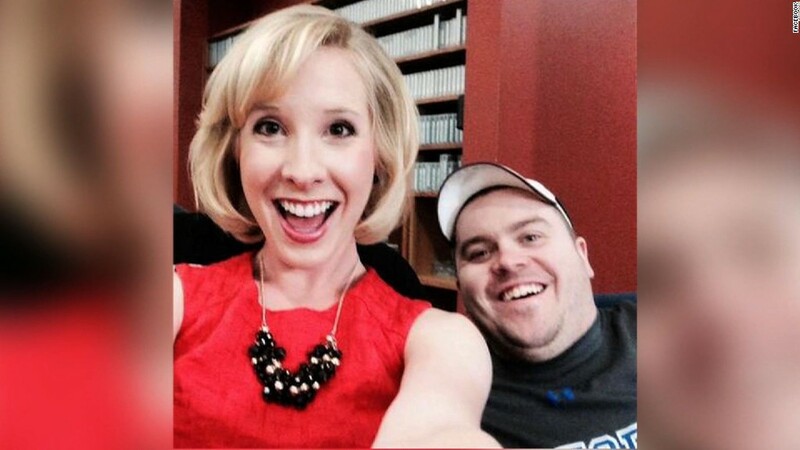 Flanagan posted the recording on social media, along with his unfounded accusations that his victims -- Alison Parker and Adam Ward -- had wronged him during his time at the Virginia television station, WDBJ. Facebook and Twitter swiftly took down Flanagan's accounts, but his recordings are still widely available online. Most news outlets used a portion of video captured by Ward in the moments before he was shot rather than use footage from the gunman's perspective. Few went as far as the Daily News or its rival tabloid, the New York Post. The Post's cover featured one frame from Flanagan's recording, showing the gunman aiming his pistol at Parker with the orange flash when he fired. The News included the same photo along with one that caught the look of terror on Parker's face when she realized she was being fired upon. Both tabloids drew denunciations for the cover images, but most of the vitriol was directed at the Daily News. "Simply garbage," tweeted Wall Street Journal reporter Ben Kesling after the Daily News provided an early look at the cover on Wednesday night. Television host Montel Williams argued the Daily News used the jarring images to advocate gun control. The Daily News, which campaigned vigorously for gun control after the 2012 Sandy Hook school massacre, didn't deny this in its note to readers Friday. Its cover on Friday conveyed the same point, with a front page headline that noted there have been more than 80,000 gun deaths in the United States since Sandy Hook. The Daily News had some defenders in the media. "It's horrific, graphic, and gruesome --and it's important that everyone looks at it," wrote Gawker's Sam Biddle.